A bit of a bonus post for you guys tonight but I was debating what to have for tea tonight as my boyfriend wasn’t round so it was just me. I always turn to pasta on these kind of occasions and as I am veggie I just seem to reach for pesto to stir through! 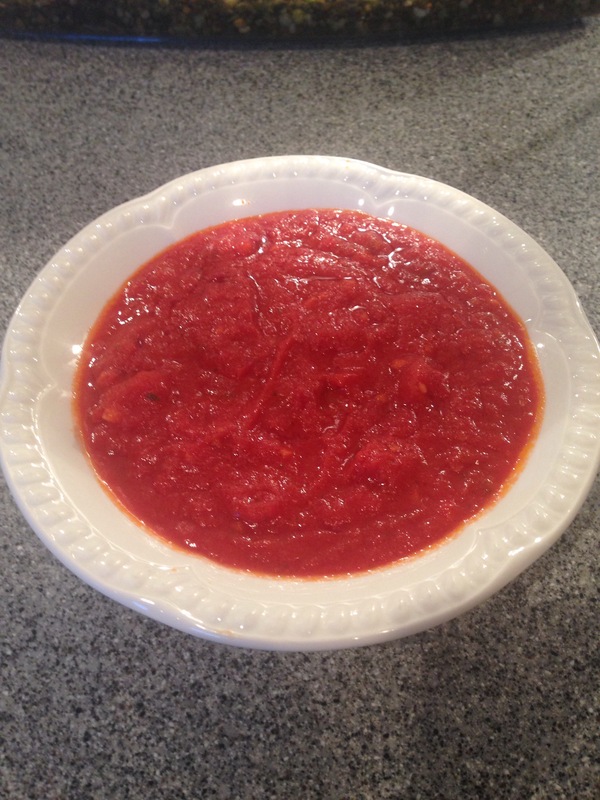 I fancied proving to myself that it was just as quick to make a sauce as it was to heat one up so I conjured up a little tomato pasta sauce recipe! I was so pleased with both the speed and the result that I thought I’d share it with you guys! It was ready quicker than boiling my pasta and was pretty tasty actually! Add the tomatoes, sugar, stock, purée and pesto and bring to the boil. Add your chopped basil and stir through your pasta. Garnish with your favourite cheese! This may be quite boring for all you foodies out there but for students or parents or anyone that needs a quick homemade meal this is great! This managed to make around 3 small portions or two big portions so I have popped the rest in the freezer for another day! That will keep in there for a couple of months which is great as I can just defrost it for a quick tea during my exam period! An Embarrassingly Large Amount of Miniatures!